All about Tamil Nadu Public Service Commission (TNPSC) Departmental Examination ✓ Notification ✓ Application Form ✓ Syllabus ✓ Admit Card ✓ Eligibility ✓ Question Papers ✓ Answer Key ✓ Exam Date ✓ Exam Pattern ✓ Cut-off Marks ✓ Preparation Tips for the promotion of government staff, and teachers examination will be held on 24.05.2019 to 31.05.2019. Tamilnadu Public Service Commission (TNPSC) conducts Departmental Exams twice a year ( in May and December months). Applications are invited from candidates THROUGH “ONLINE” ONLY for admission to the Departmental Examinations to be held in May-2019 (Application Forms will not be supplied by the Commission). Candidates interested in appearing for the exam should apply only through online process from official website of TNPSC i.e. www.tnpsc.gov.in. Days and Dates of Written Examinations:- The Forenoon session will commence from 9.00 a.m. and the afternoon session will commence from 2-30 p.m. (for further details see Time Table). Toll Free No: 1800 425 1002. 209-215 Purely VIVA-VOCE – The dates of Oral Test will be Intimated to the candidates individually. → Applications are invited from the candidates for admission to the Departmental Examinations May 2019 through "FULLY ONLINE" mode. Filled-up Online Application Forms will be electronically transmitted to the TNPSC Office and hence there is no need to send the application by post. However, those who are applying for the test codes 001,085,087,090,093,115,131,148,164,209,210,211,212,213,214 and 215 MUST send the Online Application Form and the Identification Slip to TNPSC Office by post with relevant details of previous examinations, Work etc. → Fully Online registration for Departmental Examinations May 2019 is available for candidates applying from all the 33 Centres, from 01/03/2019 to 31/03/2019. → CANDIDATES WILL NOTE THAT REGISTRATION FEE OF Rs. 30/- WILL HAVE TO BE INCLUDED IN THE POSTAL RECEIPT APART FROM THE FEE FOR THE TESTS APPLIED FOR. → Total Fees should be paid through postal receipt only (other mode of payment be considered as non payment of fees) except the candidates opting NEW DELHI as Centre. → Kindly send WITHOUT FAIL the online Application form & Identification Slips to TNPSC by post those who are applying for the test codes 001,085,087,090,093,115,131,148,164,209,210,211,212,213,214 and 215 with relevant details of previous examinations, Work etc. before April of this year. Candidates applying for other than these tests need not send the application form to the Commission by post. → Last date: This facility will be available till 5.45 P.M. on 31/03/2019. Click here to apply online for TNPSC Departmental Exam 2019. Hall ticket can be downloaded from the Commission’s website from 17.05.2019 to 31.05.2019, by presenting the unique online Application No. and date of birth. The results of this Departmental Examinations (i.e.) detailed list containing the Register Numbers, Name, Address of the successful candidates, will be published in the Tamil Nadu Public Service Commission Bulletin, dated 7th August 2019 and 16th August 2019. The copies of the TNPSC Bulletin can be obtained from the Director of Stationery and Printing, Publication Depot, Anna Salai, Chennai - 600 002, on payment. The copies of TNPSC Bulletin will not be supplied from the Commission’s Office. The results can also be accessed at the Commission’s website, which is updated periodically. 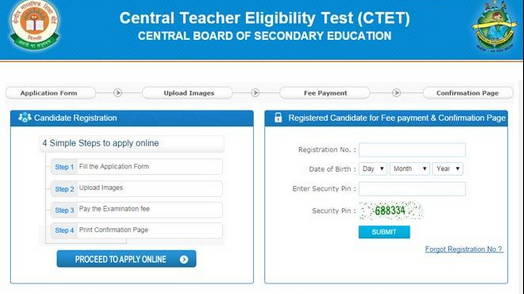 Registration Fee Rs.30/- along with postal charge of Rs.12/- to be included to the total amount of examination fee.